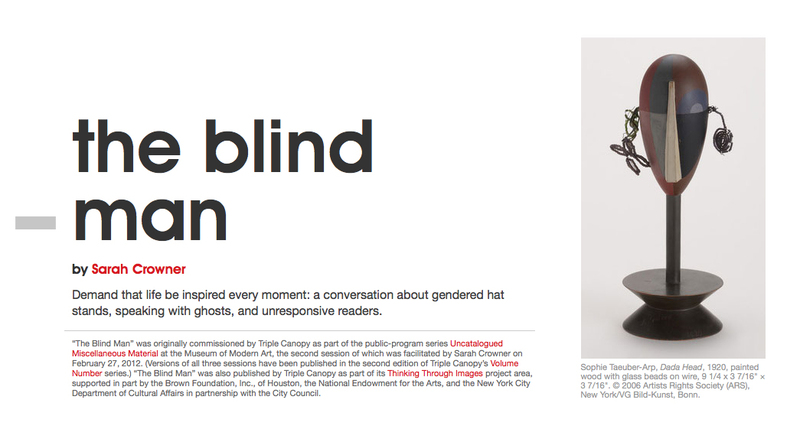 Demand that life be inspired every moment: a conversation about gendered hat stands, speaking with ghosts, and unresponsive readers. 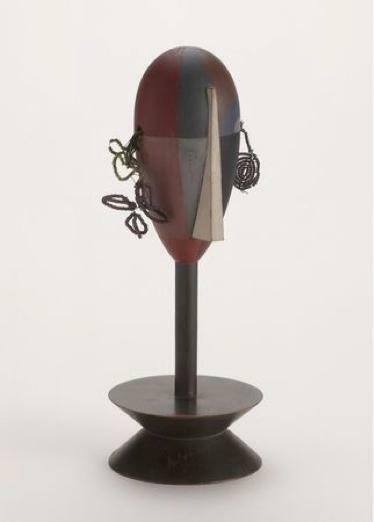 Sarah Crowner uses Sophie Taeuber-Arp to kickstart a conversation on her working practice in relationship to the page, the archive, and art history. Organized by Triple Canopy and taking place at the Museum of Modern Art on February 27, 2012.